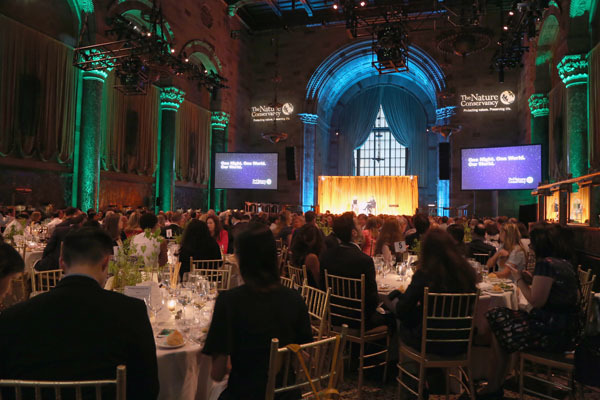 The Nature Conservancy’s One World—Our World Gala was held on June 21, 2018, at Cipriani 42nd Street in New York City to celebrate our world. 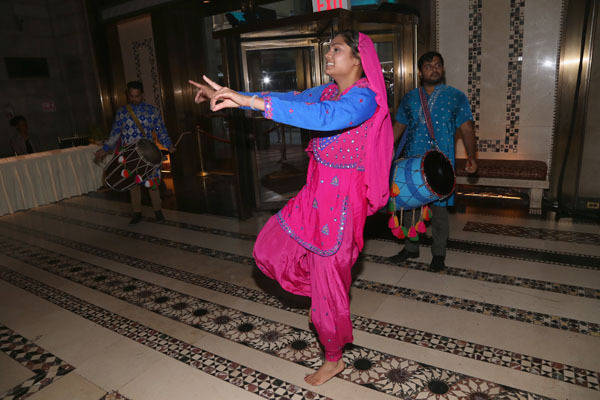 The bi-annual event had more than 450 attendees and raised more than $3.2 million. 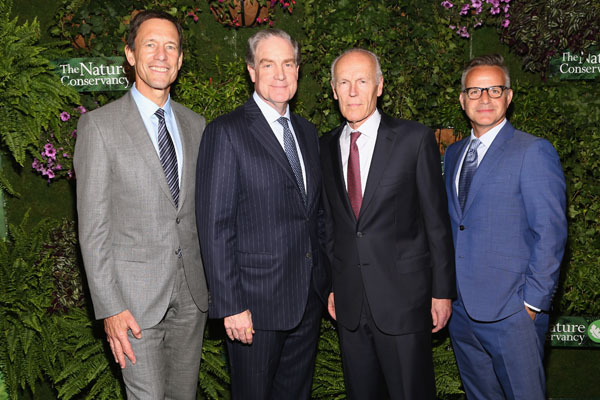 The mission of The Nature Conservancy is to conserve the lands and waters on which all life depends, and funds raised through the Gala will support the Conservancy’s work for people and nature both locally and around the globe. The world we depend on depends on us. The security of our world is intertwined with the well-being of humanity. Despite the challenges our planet faces, The Conservancy believes that nature and humanity will thrive together. Guided by strong science, we are partnering with people and organizations around the world to put into action the innovations needed to achieve our mission. The Conservancy’s global staff of more than 3,600–including 600 scientists–working on the ground in 72 countries to find and develop conservation solutions in five major areas: climate, oceans, cities, water, land. We’ve already seen the positive impact on nature our collaborative efforts have produced. Working in tandem, we can ensure that our future is one of thriving and not just surviving. 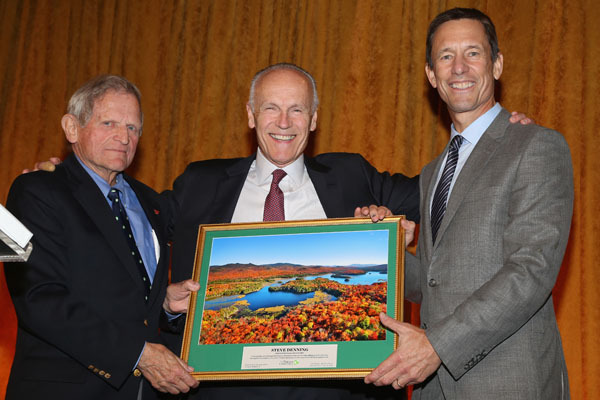 In addition to celebrating our world, the 2018 Nature Conservancy Gala recognized global conservation leader, General Atlantic Chairman Steve Denning, and corporate conservation leader, Bank of America. 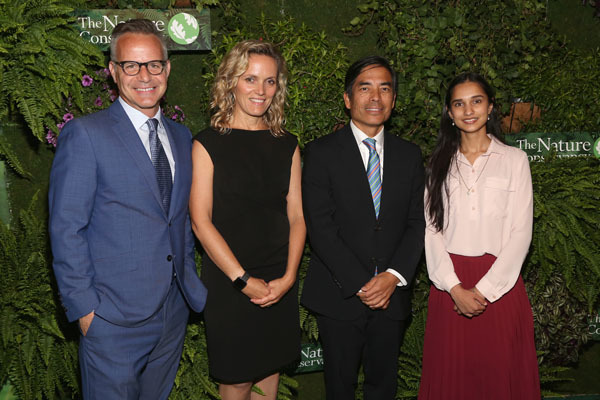 The Nature Conservancy is honored to recognize the extraordinary support and commitment of these conservation leaders. Steve Denning has made a tremendous impact on The Nature Conservancy and our work across the country and around the world, including elevating the Conservancy’s focus on climate change, driving new programs like urban conservation, and fostering a new understanding of the business of nature through pioneering programs in impact capital and corporate partnerships. Denning served on the global Board of Trustees for nine years, including a critical year as co-chair. Bank of America has been one of the Conservancy’s longest and largest corporate supporters. For more than 30 years, Bank of America has been connected to the Conservancy’s work to improve global conservation and has contributed more than $25 million to work that include the Global Forest Initiative, the Great Rivers Project, and projects involving climate risk and resilience. The Nature Conservancy is a global conservation organization dedicated to conserving the lands and waters on which all life depends. Guided by science, we create innovative, on-the-ground solutions to our world’s toughest challenges so that nature and people can thrive together. 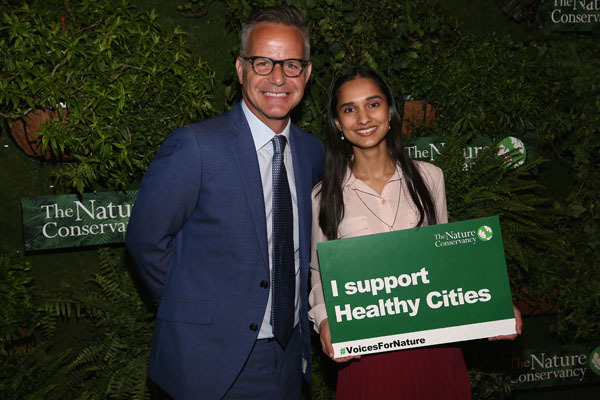 We are tackling climate change, conserving lands, waters and oceans at unprecedented scale, and helping make cities more sustainable. Working in 72 countries, we use a collaborative approach that engages local communities, governments, the private sector, and other partners. To learn more, visit www.nature.org or follow @nature_press on Twitter.